You know how to pick a pumpkin, pick up the falling leaves, and even pick up your favorite pumpkin spiced anything ... but what about fall skincare? 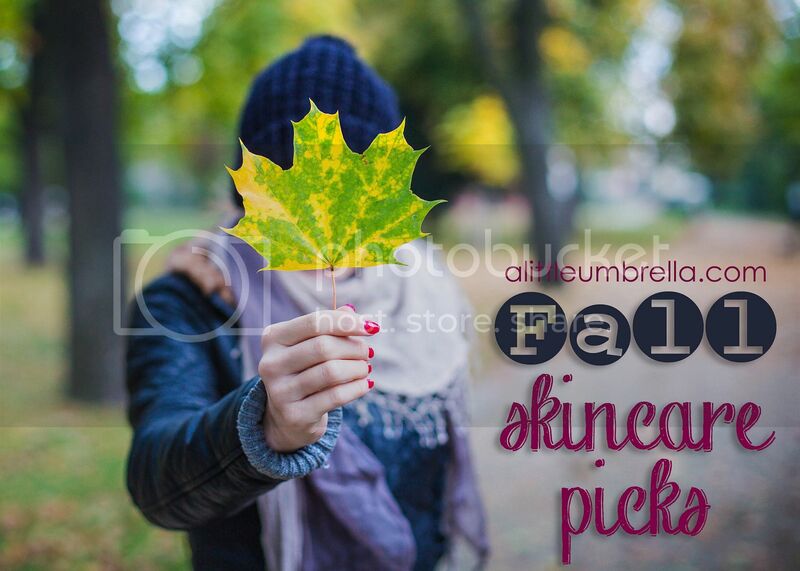 It is time to change your skincare routine as we prep for the cooler weather ahead. That means more moisture, more exfoliation, and a little more TLC. 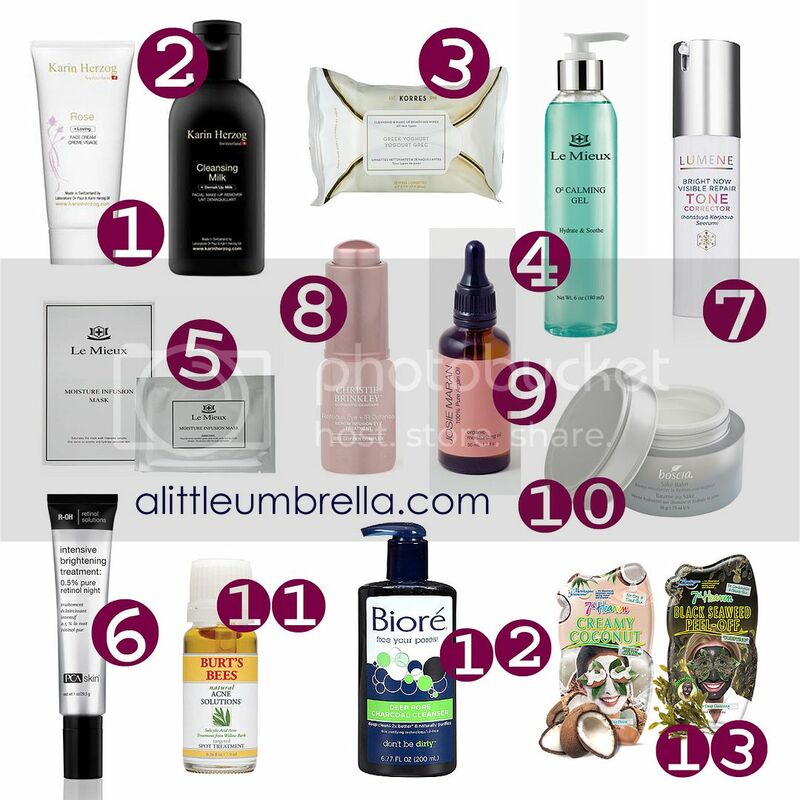 Here are some of my picks for fall skincare. Sweet smelling Karin Herzog‏ Rose Face Cream combines the detoxifying and hydrating properties of 1% oxygen with the soothing, toning, and brightening effects of rose. This day treatment cream not only deeply cleans the pores, but also calms and treats skin conditions such as rosacea, blemishes, and hyper-pigmentation. Botanicals such as birch tree extract and citric acid work to balance the skin’s pH while purifying, resulting in a fresh and luminous look. The non-foaming, lightweight, Karin Herzog Cleansing Milk, gently and effectively removes makeup and impurities. Its milky texture glides easily onto the skin, leaving it clean and soft without stripping or dryness. Cleansing milk is ideally suited for those who prefer a milky texture and a quick cleansing step. 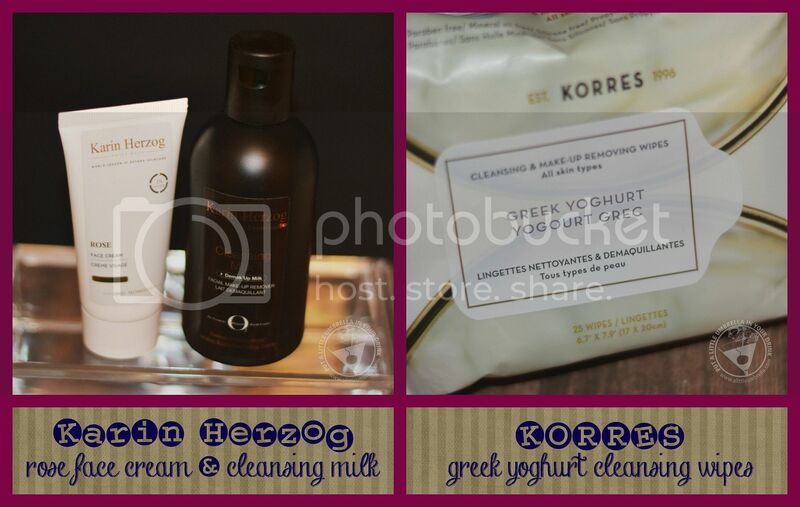 KORRES Cleansing & Make-up Removing Wipes are pre-moistened and formulated with nourishing Greek Yoghurt to easily remove stubborn face and eye makeup while softening skin. Each textured cloth effectively leaves skin refreshed and deeply nourished. These cleansing wipes contain a calming duo of chamomile and calendula oils relieve stressed or sensitive skin while gentle macadamia and jojoba oils help skin retain moisture. The deeply hydrating O2 Calming Gel contains botanical extracts to immediately relieve skin irritation, burning, stinging, and redness. 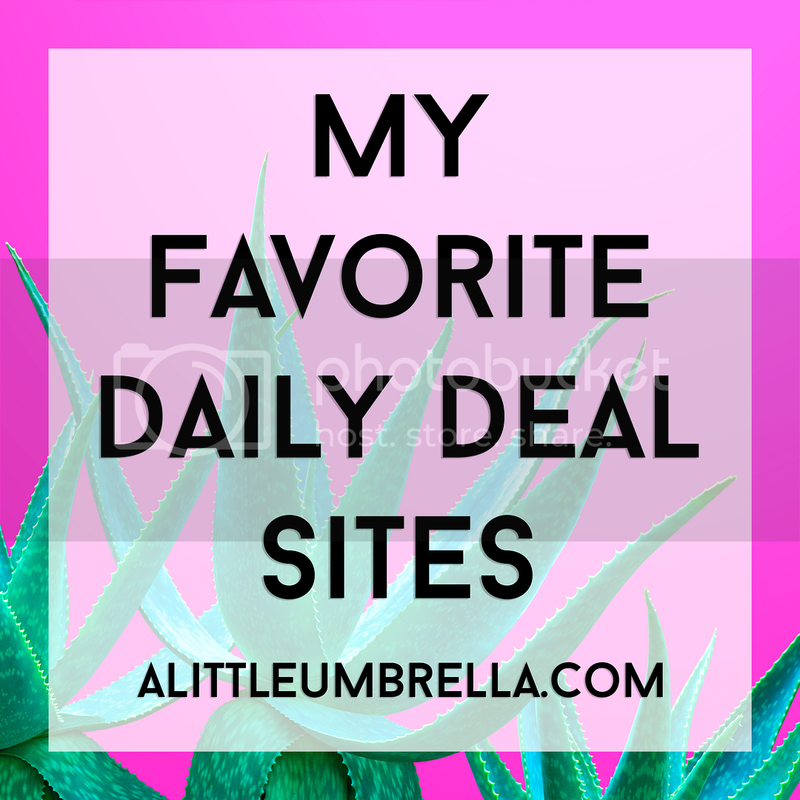 Your skin will be calm, soothed, and moisturized. The antioxidant-enriched, advanced moisture complex intensely hydrates while softening skin for a healthy-looking complexion. 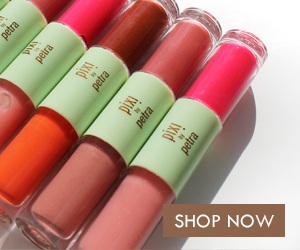 This is the perfect choice for plump and moisturizes dehydrated skin. To calm skin, apply calming gel to cleansed skin as needed. Do not rinse. 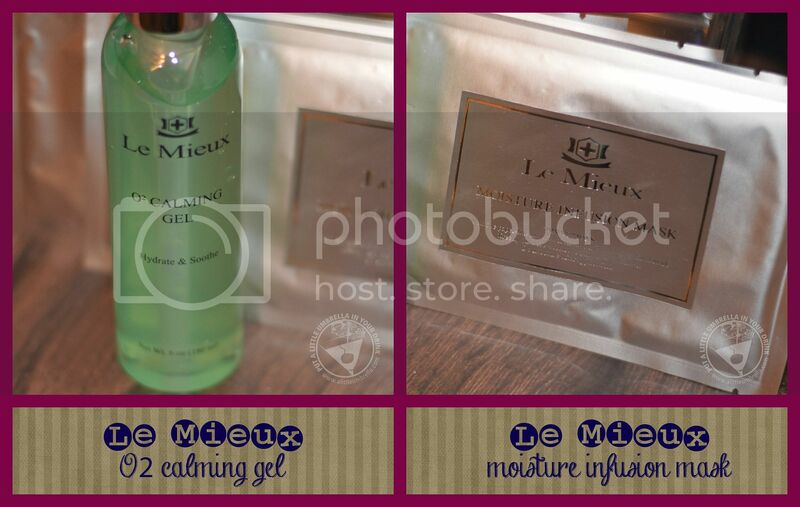 Infuse even more moisture and relieve dry skin with a Le Mieux Moisture Infusion Mask. The easy-to-use sheet mask hydrates distressed skin fast with a bio-delivery infusion process while providing a unique cooling and refreshing sensation. Formulated with hyaluronic acid, marine collagen, vitamins B & C, caviar extract, and peptides, this mask also helps minimize the appearance of expression lines and wrinkles. It is suitable for all skin types, especially sensitive. Let this soothing mask a brighten dull complexion leaving skin looking and feeling radiant. Let summer live through your memories, not on your skin. Wake up to brighter skin and say goodbye to summer damage. PCA SKIN Intensive Brightening Treatment delivers 0.5% pure retinol, niacinamide, and hexylresorcinol deep into the skin through a patented OmniSome delivery system. This maximizes the benefits of resveratrol to minimize redness and yellowing of the skin while producing an even skin tone with less visible discolorations. This powerful nightly skin brightening treatment will create that even, bright, and radiant complexion you crave. 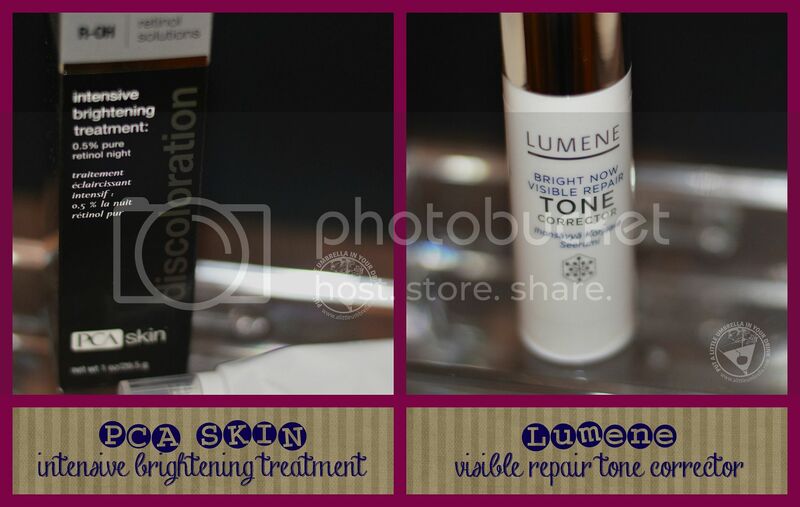 Try the Lumene Bright Now Visible Repair Tone Corrector to brighten the skin and lighten dark spots. This tone corrector uses Octadecenediodic acid, a safe skin brightening agent which regulates melanin production. Regular use helps to diminish the appearance of dark spots and irregular skin tone. Instant, visibly beautifying effect with light diffusing pigments makes skin look immediately radiant and more even toned. A unique cloudberry stem cell technology helps to smooth out the skin and reduce wrinkles by protecting and maintaining the skin’s own stem cell activity and by boosting its natural hyaluronic acid production. 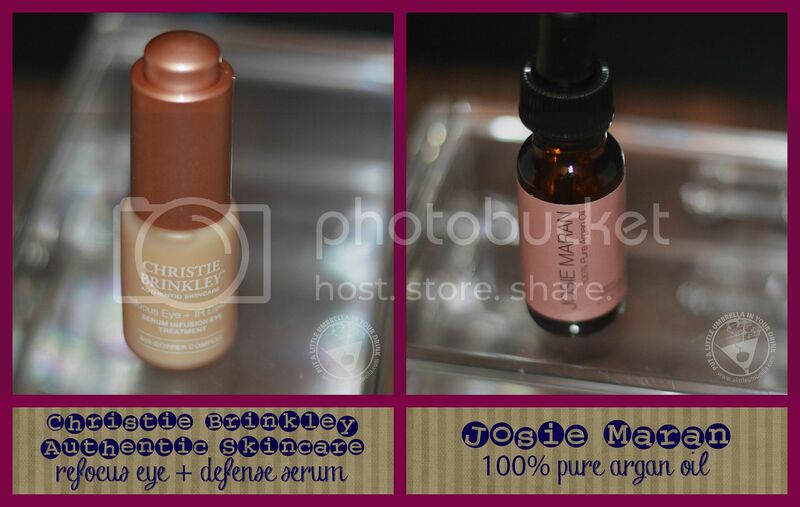 Christie Brinkley Authentic Skincare Refocus Eye + IR Defense Serum Infusion Eye Treatment will treat tired looking eyes. Revitalize that delicate skin surrounding your eyes with this serum infusion eye treatment which protects the skin from environmental damage while rejuvenating and revitalizing the appearance of aged skin. Apply to clean skin and around the eye area in the morning and evening. When the weather starts getting tough on your skin, try Josie Maran 100% Pure Argan Oil. This liquid Moroccan treasure is loaded with Vitamin E and essential fatty acids, so it has amazing healing, conditioning and repairing properties. Argan oil has many benefits for your skin, hair, feet, nails, and even your baby's bottom during your time of need this fall. Argan Oil is a 100% organic, chemical-free gift from nature. Argan Oil is light enough to use as an everyday moisturizer and powerful enough to soothe the symptoms of skin ailments like eczema or rosacea. Try using it to hydrate your skin after a shower, dab a drop on rough cuticles, or smooth it onto your hair for shine and softness. My secret is to add a few drops to my lotions and potions. It boosts their effectiveness by adding that extra power of pure argan oil! Sake? Yes, sake. This innovative bouncing gel-textured sake moisturizer is made from the finest Sake grade. 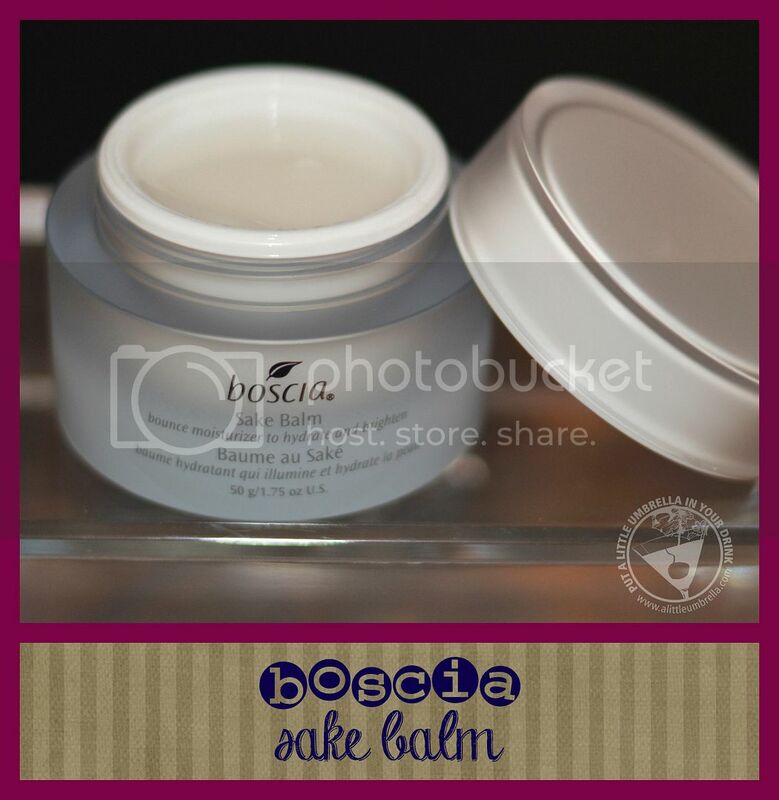 Boscia Sake Balm delivers hydrating and brightening benefits, allowing the skin to visibly bounce back from dryness and dullness to a brighter, firmer, healthier-looking complexion. It promotes exfoliation, improves skin's texture and water content, reduces the look of wrinkle depth, and enhances firmness for a healthier-looking complexion. Is acne ruining your autumn? Burt's Bees Natural Acne Solutions Targeted Spot Treatment is clinically proven to help reduce and improve the appearance of blemishes without irritating skin. Formulated with Tea Tree, Calendula, Yarrow, and Parsley Extracts, this targeted acne treatment helps calm and reduce redness, while Borage Extract promotes healthy skin. 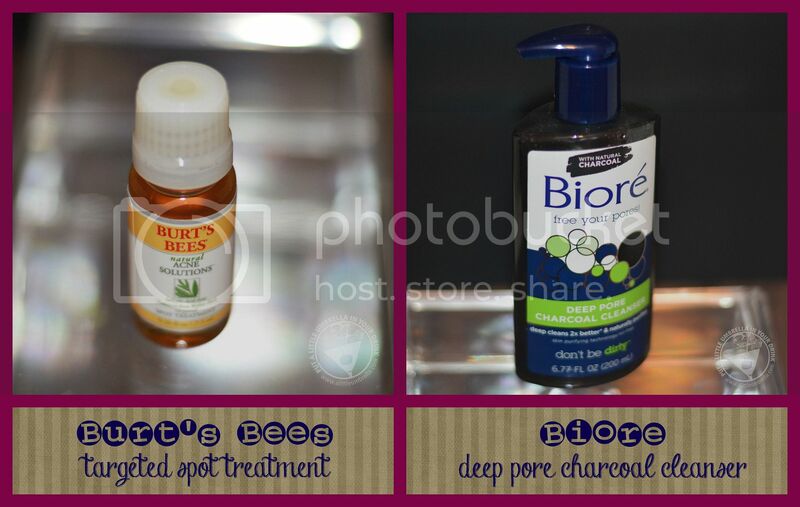 As the weather changes your skin can act up, but with Bioré Deep Pore Charcoal Cleanser that’s one thing you won’t have to worry about. This innovative charcoal cleanser foams white and rinses clean. It draws out and traps 2x more dirt and impurities than a basic cleanser. Infused with Japanese Skin Purifying Technology, the natural charcoal will leave your pores free of dirt and impurities and your skin smooth and healthy. Finally, have you heard of multi-masking? 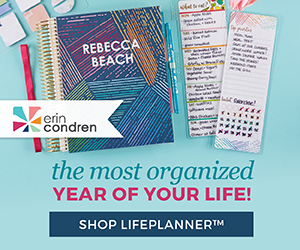 It might be just what you need this fall. Multi-masking is when you use multiple masks on different areas of the face to address the different skincare needs of each zone. This can be achieved by using a variety of masks, such as these from 7th Heaven. 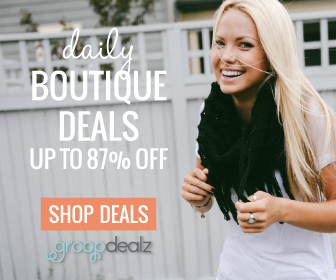 This UK based skincare line specializes in luxurious face masks that burst with premium all-natural ingredients, smell delicious, deliver immediate results, and address a wide variety of skincare needs. They come in individual pouches, perfect for mixing and matching. You can find a mask for just about any issue you wish. For example, look for masks that are for deep cleansing, super-hydration, brightening, revitalizing, exfoliating, resurfacing, calming, soothing, smoothing, oil-absorbing, or even acne treatment and prevention. 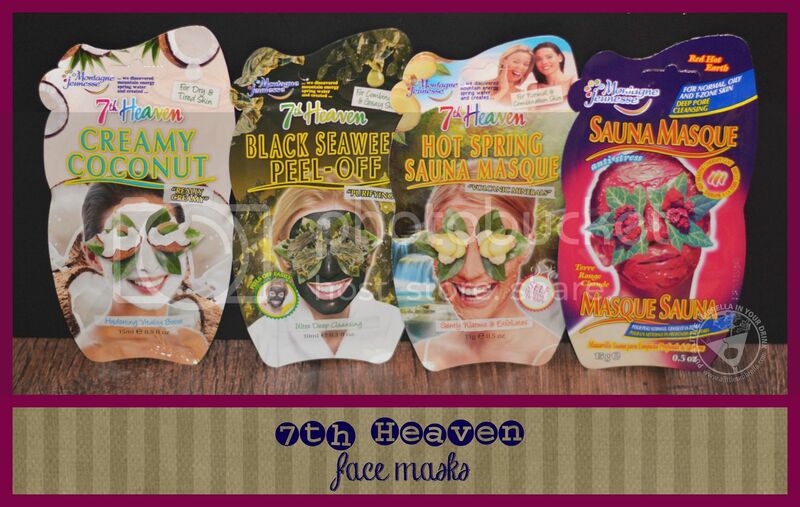 7th Heaven Face Masks offer a deep-down action that helps nourish, cleanse, remove impurities and keep skin healthy and vibrant as well as adding essential nutrients to your skin. Depending on the mask you choose it can help to remove dead skin cells, unclog pores and clear up blemishes so toning, hydrating and protecting products work more effectively.